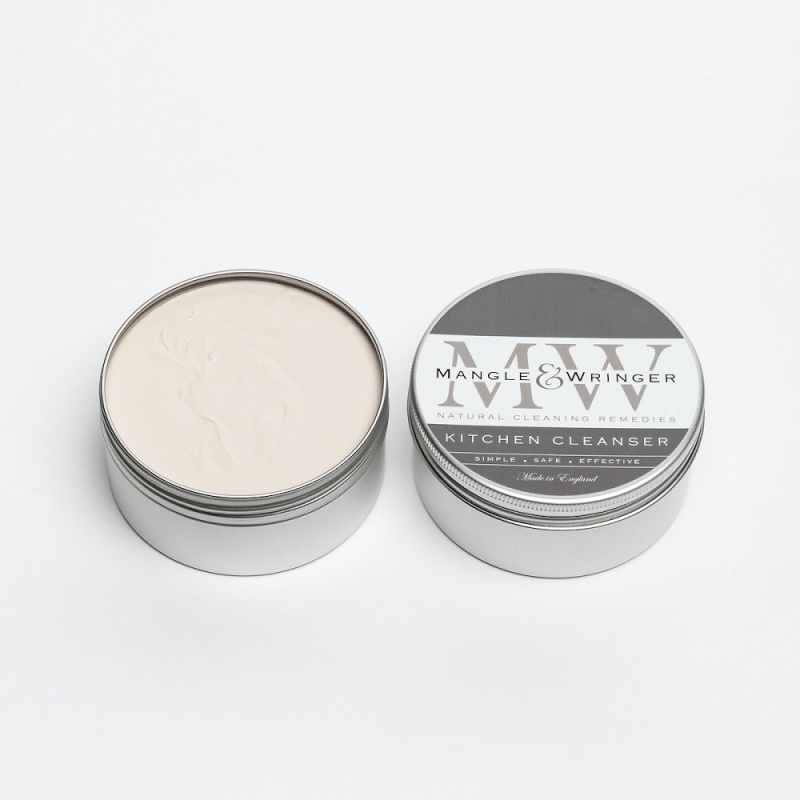 A safe and natural, biodegradable cream cleanser that very effectively cuts through grease and grime on all kitchen surfaces. Supplied in an aluminium tin which is fully recyclable. Vegan and Palm Oil free. 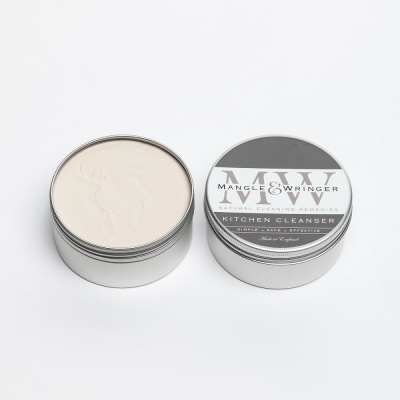 A natural Kitchen Cleanser is a multi-award-winning paste cleaner. Use it to quickly clean all kitchen surfaces – granite, marble, wooden worktops, chrome, ceramics, tiles, plastics, paintwork, glass, stainless steel, pots and pans etc. It’s particularly good on induction hobs and range cookers where it leaves a deep, streak-free shine and it’s great for easily removing sticky finger marks without damaging paintwork. A safe and non-toxic paste, it’s perfect for cleaning fridges, chopping boards, food containers and cooking equipment. It will also remove tarnish from silver and silver plated cutlery. Apply sparingly with a damp cloth or sponge and rinse with warm water. Buff with a dry cloth for a sparkling, smear-free finish. Sodium Bicarbonate, Calcium Carbonate, Coconut Oil Soap, Palm-free Vegetable Glycerine, Sodium Carbonate. For Eucalyptus and Rosemary: additionally includes Organic Eucalyptus and Rosemary Essential Oils. This product is supplied in an aluminium tin which is fully recyclable. Vegan and Palm Oil free.